What if every relationship in your life could be easy, expansive, and joyful beyond what you currently know is possible? Your relationships with intimate partners, your family, your pets, your relationship with your body, the earth, money, and business... What if you could have ease and joy with all of them? What doors of possibility would that open in your life? Come join us on this adventure of discovering the joy of living that is truly possible! Thriving Relationship - What Gift is Contribution? In this show, Adam and Linda will be joined by Christine DiDomenico in a conversation exploring contribution. Do you know the difference between giving and taking and gifting and receiving? 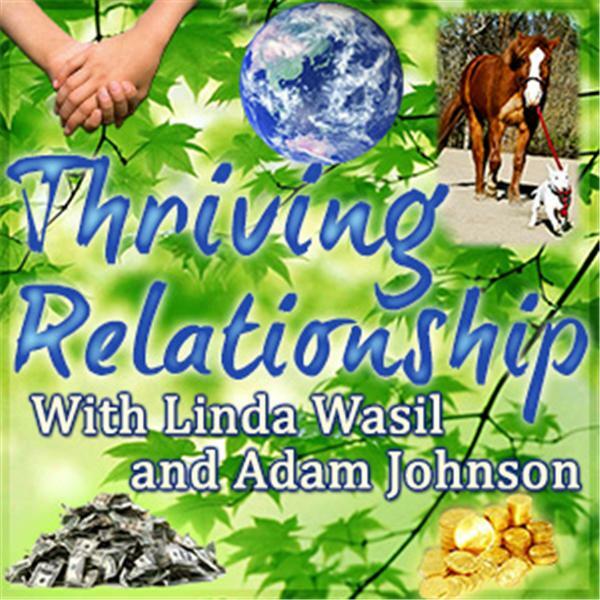 If you have any questions for us to answer on this show or future shows, please post your questions on http://www.facebook.com/ThrivingRelationship or email adam.jms.johnson@gmail.com. Thriving Relationship - What if Vulnerability isn't Weakness? Thriving Relationship - What Does Trust Mean to You?